If you are a runner, or even if you are just starting out, you can use your iPhone to get into top shape and improve your running times. The iPhone App store features dozens of apps designed for runners- they track your position, monitor your progress over a period of time and even provide motivational audio to help you improve your fitness levels. 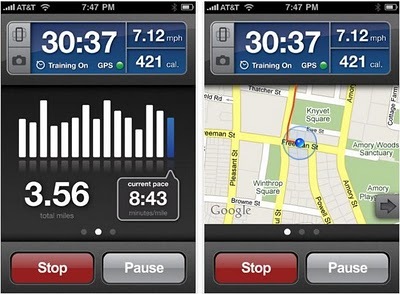 The RunKeeper app, designed by the FitnessKeeper, Inc. team, is one of the best apps available for runners today. It emulates the functions of a high quality GPS watch; it tracks your position using the iPhone’s built in GPS, it tracks your speed, distance and shows how many calories you have burned by running (it also supports other activities like swimming or cycling). You can see your running route on a map the application provides, and visualize the progress you have made. You can also use this application indoors, on a treadmill. The application is available for free at the iTunes store. 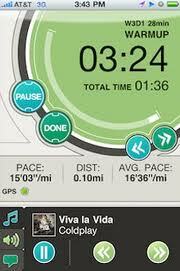 The Runmeter app has been designed by Abvio Inc. It has received rave reviews from fitness experts as well as everyday users alike. This app is one of the most comprehensive resources you can find for runners. The application constantly tracks your running speed, time, location, the slope/incline on which you are running and other features. It contains a customizable audio output feature that tells you how far you have run, your time as well as other details without you having to press a button. You can compete against yourself or against other people by importing their workout data- your progress will be measured against theirs on a map, and you can try and beat your competition by “ghost racing”. 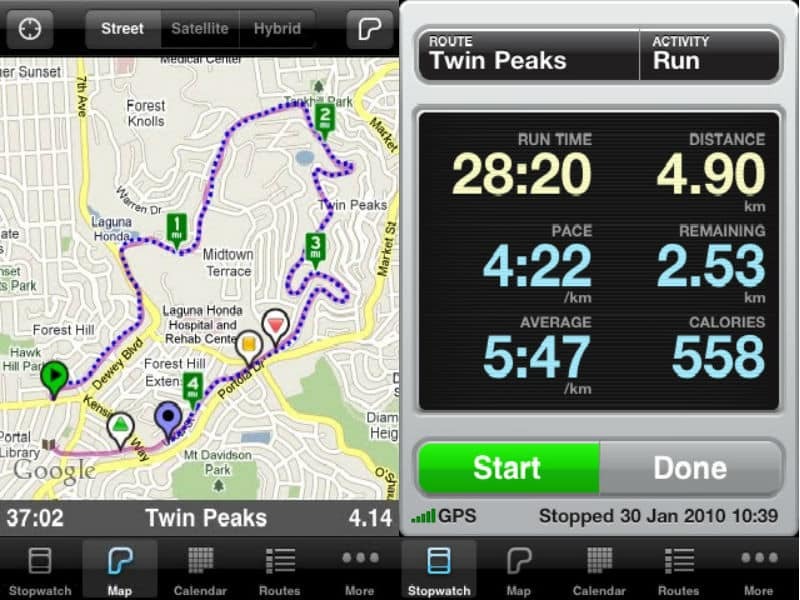 The Runmeter GPS app also integrates Facebook and Twitter integration, so you can share your workout data while you run. This app is available for $2.99 from the iTunes store. The Ease into 5K app, designed by Bluefin Software, LLC, has received a 5 star rating from the fitness magazine “Self Magazine”. It has also been featured on the ABC news, as well as in the “Best iPhone Apps” book. This app is designed for beginners, and features the “From the Couch to 5K” fitness plan that claims to get you running a 5K marathon within 8 weeks. If you are keen to take up running, but don’t know how to get started, then this app is perfect for you. It gives you a concrete plan you can follow that will provide you with guaranteed results. The plan has you alternating between walking and running, and you work out 3 times a week for about 25 to 40 minutes. At the end of 8 weeks of training, you should be able to run without stopping for 30 minutes (5K). The app has a built-in music player, so you can enjoy your music as you run, and also features an audio system that motivates you by tracking your progress. The app also features Facebook and Twitter integration, so you can share your progress with your friends. The app is available for $2.99. So, what are you waiting for? Get your running shoes (You can check my coupon blog and get discount such as shoe buy discounts and brooks running shoes coupons) now and start your journey towards a healthy life. Costea writes for a brooks running shoes coupons and shoe buy discounts site and occasionally the best iPhone apps. These brooks running shoes coupons and shoe buy discounts can help you save on running shoes.